When I was a small girl, I remember a distinct sense of mystery, magic and occasion about my Mother’s round, hatbox-like ballet bag. A relic of the late fifties, it had a grey, crosshatched pattern and an illustration of three or four ballet dancers right on its top. My Mother kept her sewing in this ballet box, but it had once held the precious ballet costume and sugar-almond shoes of a littler her. 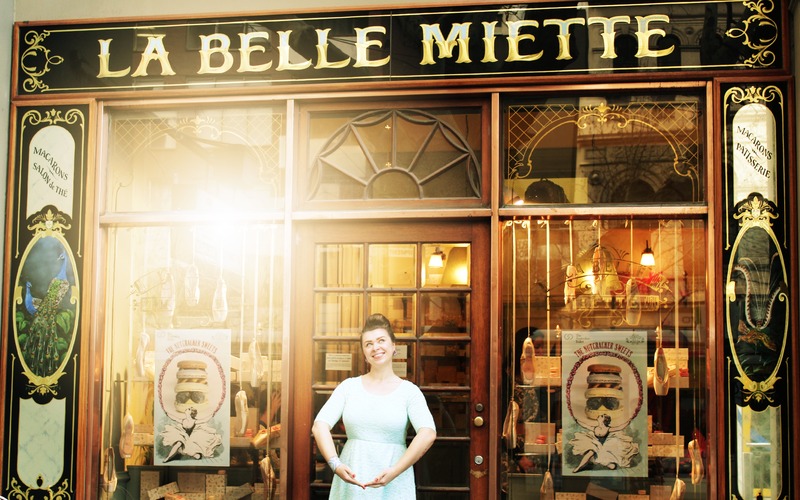 As I opened the door into the gently lit boudoir that is La Belle Miette, I spied a set of little girls with neatly brushed hair and pink ballet costumes, wondering at their glittering surrounds and quietly sucking on their lower lips, nervous for the special guest soon to arrive. Many of us have had our time sitting in place of today’s little ballerinas, excited at our sweet satin shoes, our round little tummies and flat little bottoms peeking from eggshell blue leotards, moving our limbs gawkily in time to the piano. Looking at these girls in their special costumes, awaiting a meeting with a real live ballerina, concerns about encouraging children into girly, gendered hobbies fell to the wayside. 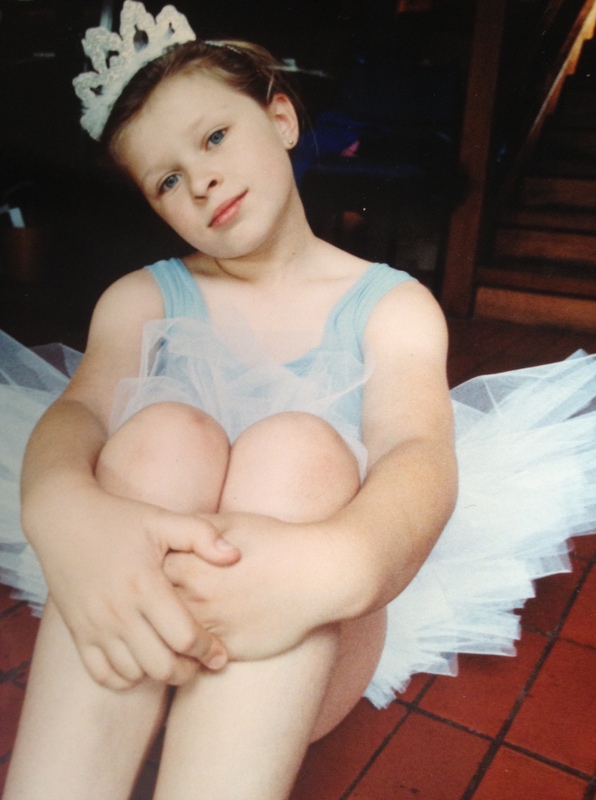 And when the Sugarplum Fairy finally did appear – in her jewelled, light-as-a-feather tutu and magical tiara, with her delicate wrists and perfect features – I became a little ballerina once again, too. 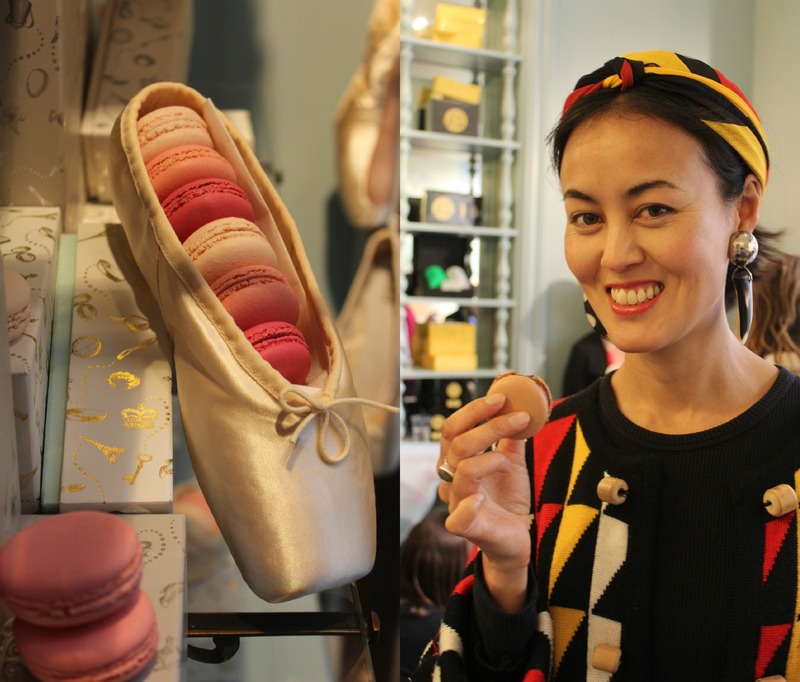 Today, The Australian Ballet celebrates their collaboration with La Belle Miette macarons, who have created a series of Nutcracker Sweets in homage to the upcoming production of The Nutcracker. 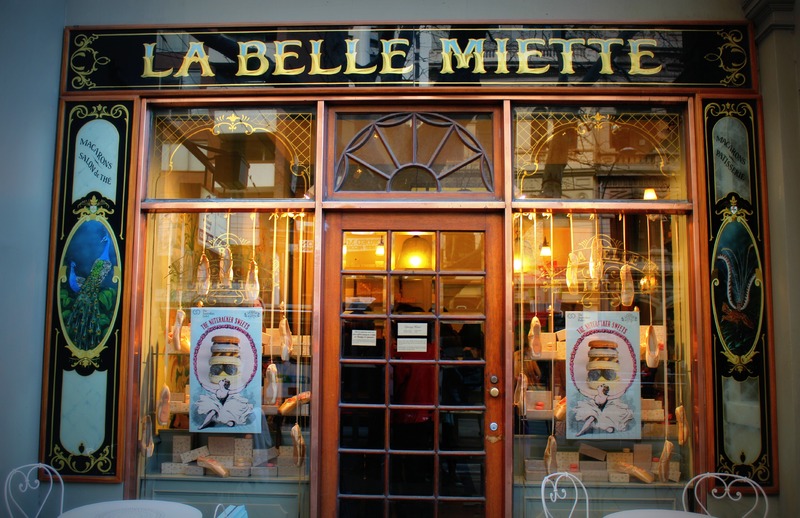 The interior of La Belle Miette was the perfect place for an audience with the star of The Nutcracker – the Sugarplum Fairy. 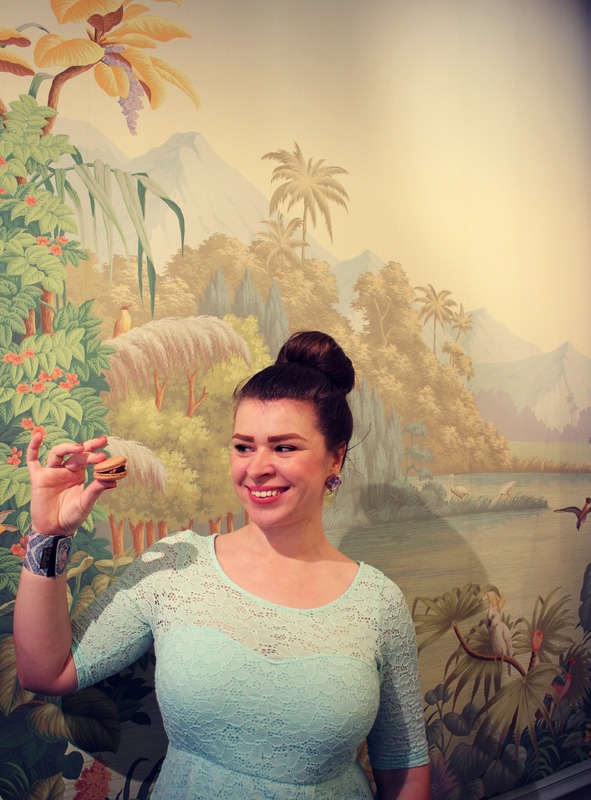 Their patisserie salon is richly finished with handpainted wallpapers and is a reprieve from the serious, impersonak top end of Collins Street. If you’ve not seen The Nutcracker before, it is a classic, romantic ballet synonymous with Christmas. 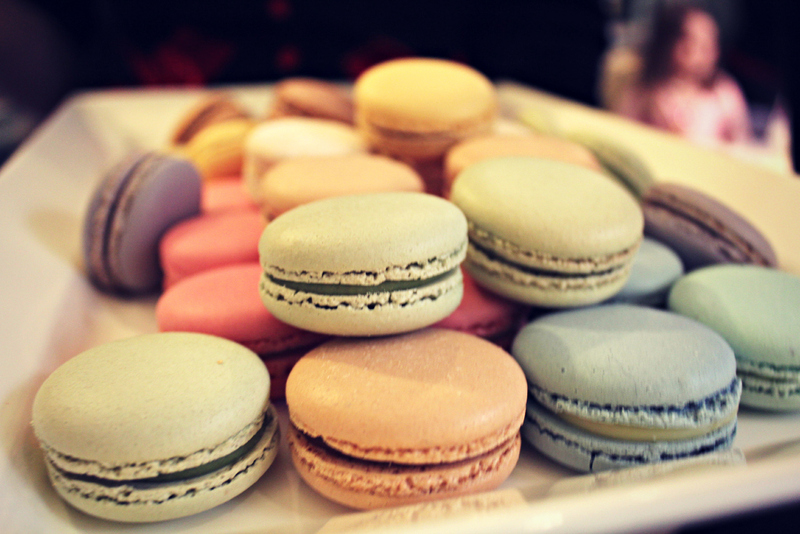 I think you’ll be hard pressed to find a sweeter image than Sugarplum with macaron. 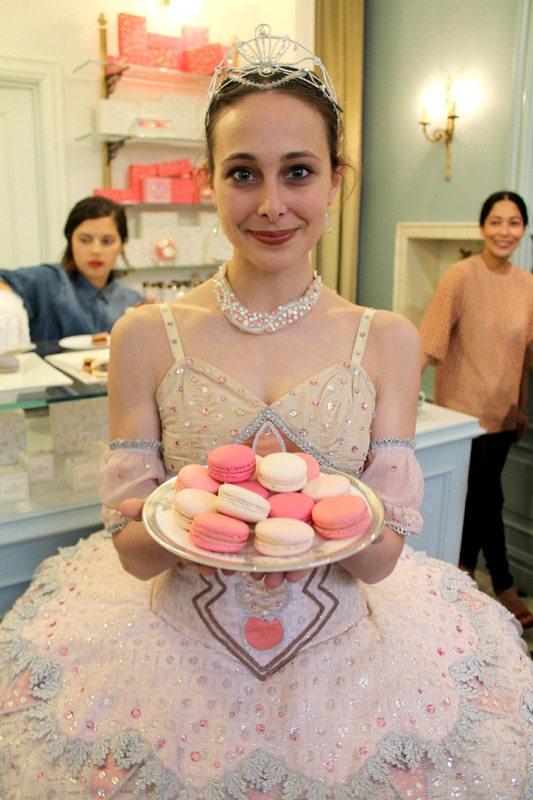 The detail on the ballerina’s costume was exquisitely girls and fantastic. The story of The Nutcracker in (ahem) a nutshell: Clara, a young ballet student, is celebrating with her family at a Christmas Eve party. The magician, Drosselmeyer, gives her a nutcracker doll – and when the clock strikes twelve, dreams and magic are unleashed, the doll becomes a prince and Clara is whisked away to fantastical lands. Thank heaven for little girls. 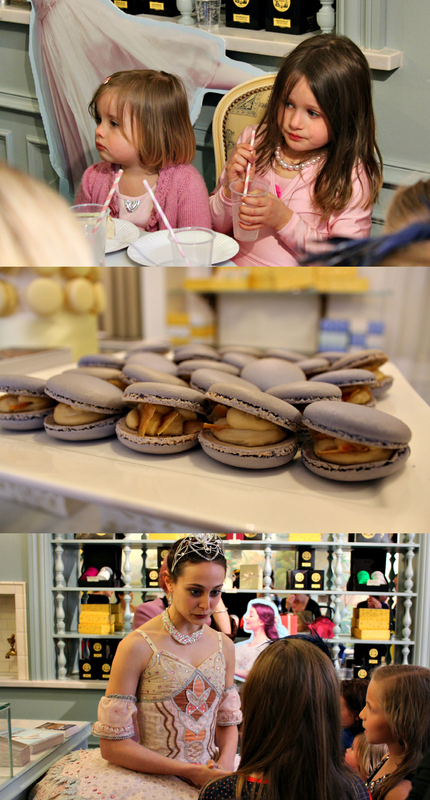 And earl-grey caramel-stuffed macarons. And ballerinas. 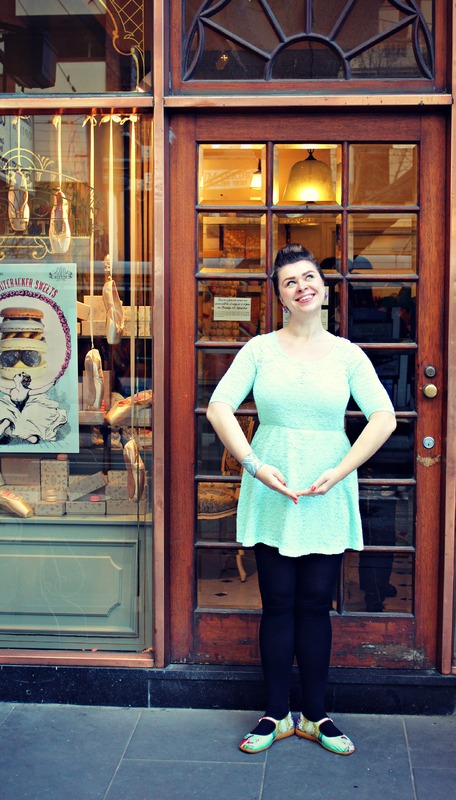 You can take the girl out of the ballet school, but you can’t take the ballerina out of the girl. Reacquaint yourself with your own little ballerina within by coming along to hear soaring Tchaikovsky matched with Peter Wright’s choreography. 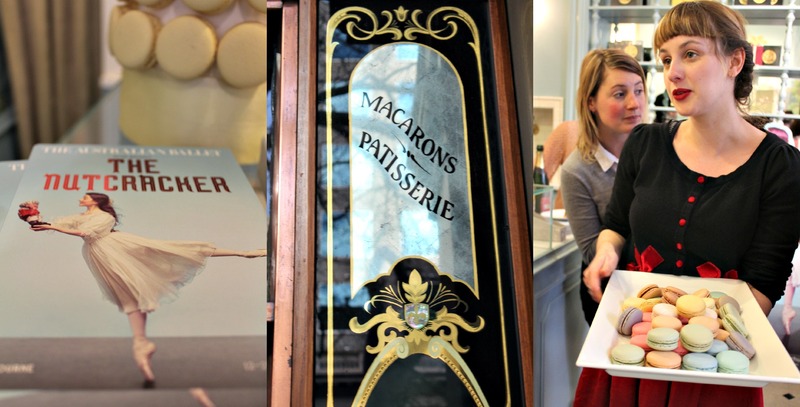 The Nutcracker by the Australian Ballet is showing in Melbourne from the 12th – 25th of September. For booking details, click here.